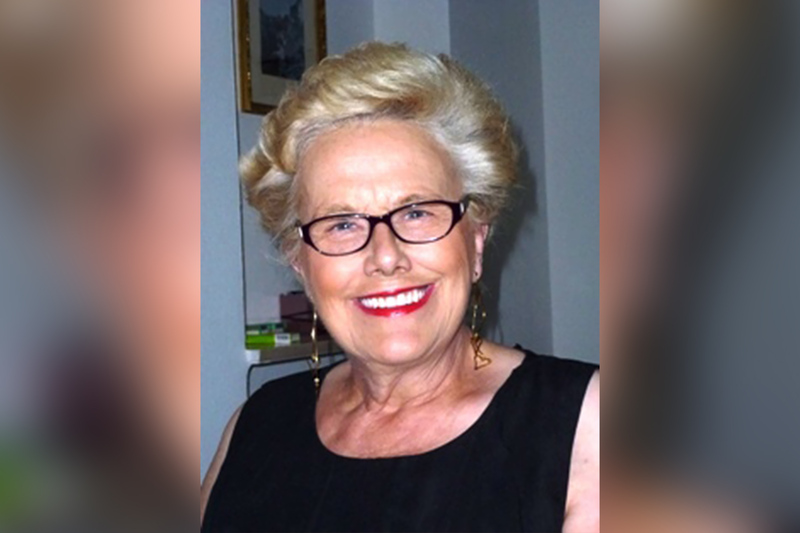 When Patricia Eastwood developed Meniere’s disease in her right and then left ear, she was plunged into a world of silence. She searched for solutions, but for years it seemed like none would work for her. Then her doctor told her about the MED-EL SOUNDBRIDGE Middle-Ear Implant. As soon as I returned home from giving birth to my third son, I began to fall down about the floor. About once per week I would have an attack where the world would turn upside down, I would have no warning but just collapse with the world spinning around me and I was always violently sick. My doctor referred me to an ENT specialist, and he diagnosed Meniere’s in my right ear. He explained that every time I had an attack I would lose some hearing, until finally the attacks would burn themselves out but leave me seriously deaf. He also told me at that time that approximately 30% of patients got Meniere’s in their other ear; although he said that the second ear would never be as bad as the first. I was first treated with a betahistine to help prevent the attacks. After some months it did not seem to be helping me, so my specialist put a grommet in my right ear drum. These grommets were immensely successful. I coped as best as I could and was more frightened of the attacks than of losing my hearing at that stage, as I still had a good left ear. Then, in 2004, I was living in Golden, Colorado, at 6500 feet altitude. I began to get Meniere’s in my left ear. My metabolism simply could not cope with living at altitude, my ears would not “pop” going up and down from that altitude and I began to suffer a huge pain in both ears. I began to have vertigo attacks again. I saw ear specialists in Denver over a period of some months, and one treatment they offered was to inject steroids into my left ear drum but this was unsuccessful. A specialist at the Denver Ear Centre told me that, in his opinion, my only chance of improvement would be to have a cochlear implant in my right ear. I returned to the UK in 2007, and the pressure in my ears released and was no longer painful. To some degree, the attacks lessened. However, by now, I was struggling mightily to live a normal life and although there was some hearing left in my left ear I struggled daily. The TV and phone were almost impossible for me to understand. I struggled in shops; I have noticed that for deaf people normal people think we are “stupid.” If you are blind you have a special walking stick and people help you. When you are deaf there are no visible signs and people get irritated when they have to keep repeating things for you. My quality of life started going on a long downward slide. I saw ENT consultants in Scotland and they gave me a hearing aid for my left ear. From the moment I started to use it I began to have lengthy periods of infection which prevented me from wearing this hearing aid, so my quality of life did not improve. I then saw a consultant at the Scottish Cochlear Implant Centre who was not one hundred per cent convinced that a cochlear implant was the answer. They did conductive bone tests and established that I could not hear any better through the bone either so they dismissed the possibility of a bone conduction implant too. I began to become totally withdrawn from the real world. I didn’t go out or socialize as I couldn’t hear. I became severely depressed and was treated for that condition with anti-depressants. I just lived in solitary confinement with total lack of confidence. So I visited a doctor at my clinic and gave him my full history. He did a hearing test also and established my hearing loss in both ears. He sat in deep concentrated thought for some length of time and then said “I think I may have the answer. You may be a candidate for a middle-ear implant.” I subsequently had CT scans, and they indicated I could get a SOUNDBRIDGE Middle Ear Implant. I received my SOUNDBRIDGE in August, 2013. There was no “instant bang” I can hear, but rather a slow process that was barely noticeable. It was twelve months before I could hear with the SOUNDBRIDGE in the left ear alone, without the hearing aid in the right ear. I just woke up one day and found that the hearing aid in my right ear was too loud, so I tried turning the hearing aid down to the lowest setting. That worked for a couple of weeks until that lowest setting was too loud. Then I realised I could hear perfectly well without the hearing aid, and only needed my SOUNDBRIDGE on the left side. The sound I hear now is like normal hearing. This is a miracle of technology. You don’t and cannot possibly anticipate this when you have the operation. With hearing aids you are hearing amplified sounds and loud noise, while the SOUNDBRIDGE is very gentle. There are very occasionally circumstances when I don’t pick something up, as with all deaf people, particularly in noisy places or where there are echoes, but this is not something that causes me distress now. The SOUNDBRIDGE has changed my life completely. I still break down and cry when I remember the days without it. I don’t think that people who can hear can possibly appreciate what a terrible life it is to live in silence and what a miracle it is when there is something available to you that can give you your hearing and your “life” back again. I live a full and active life once more. Subscribe to the MED-EL blog for more inspiring stories of overcoming hearing loss!